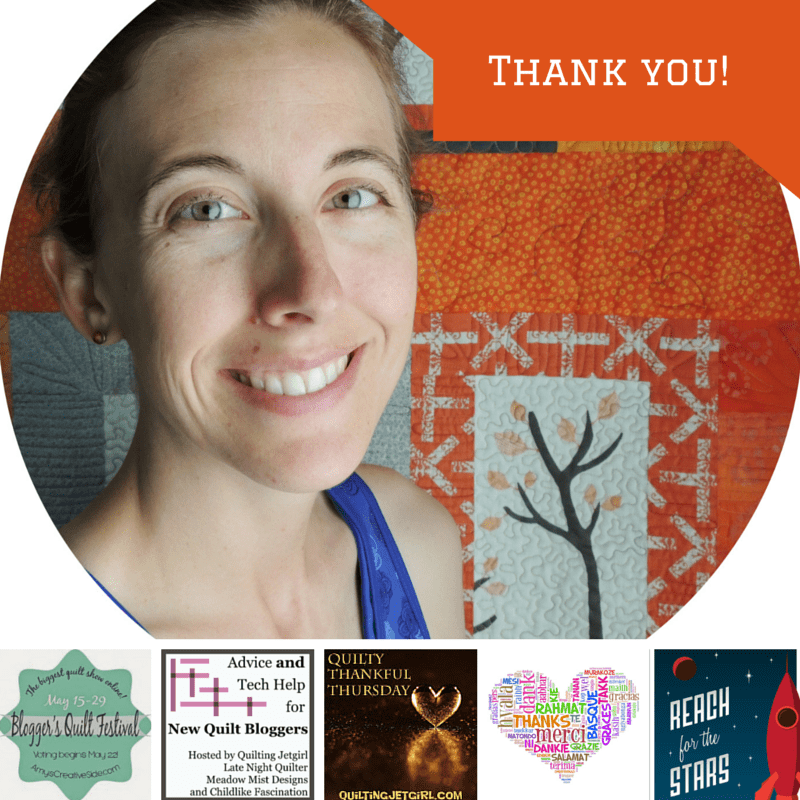 I am so thankful for my online quilting friends! As Cheryl, Stephanie, Terri Ann, and I kick off the 2015 New Quilt Bloggers Blog Hop this week, it really has me reflecting back on my blogging and quilting experience. My life is so much richer because of this online community, and I thank you so much for following along. I am also still amazed and giddy about Triangle Transparency being voted for enough to win the Blogger’s Quilt Festival Original Design Category – thank you all so much for your support! XOXO you have done such a great job being out fearless ringleader in this new quilt blogger adventure! The online community is great. Today I am especially grateful for summer break. Trying to figure out the blog world, and sharing blogs I like. Don’t know how to make mine ( shareable) but figuring out how to share others…. Congrats on your win – that is soooo cool! Today I’m thankful to have spent some time with my hubby.